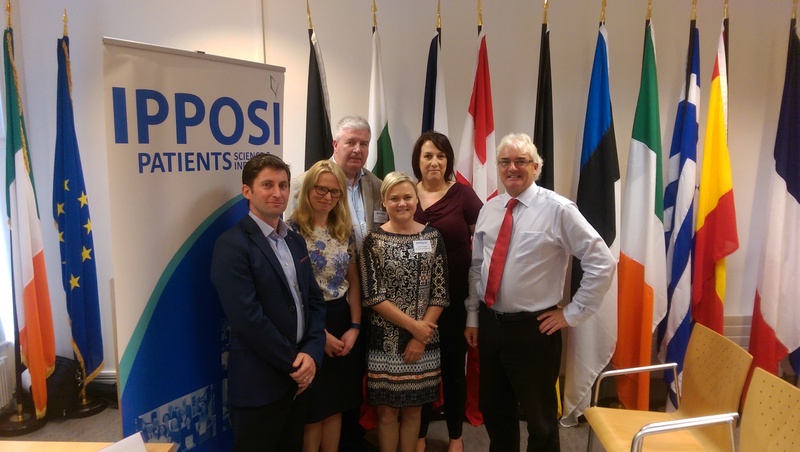 Each year, IPPOSI invites representatives from the National Centre for Pharmacoeconomics (NCPE) to deliver a training session on Health Technology Assessment in Ireland. The purpose of this session – which is open to patient members only – is to educate patients about this vital step in the process of making access to new treatments and medicines available. The NCPE is the organisation that assesses whether new treatments should be made available at the State’s expense. When this assessment is complete, the NCPE makes a recommendation to the HSE’s Drugs Committee, where the final decision is made. The assessment process is complex, involving concepts such as ‘QALY’ (Quality Adjusted Life Years) and ‘ICER’ (Incremental Cost-Effectiveness Ratio) and the staff from NCPE take participants through a theoretical, and practical, explanation of the steps involved, and crucially, how patients and ‘patient-reported outcomes’ can be added to the body of information assessed. During her presentation, Yvonne Hughes made reference to a Genetic Alliance UK ‘Patient Charter’ which you can find here.